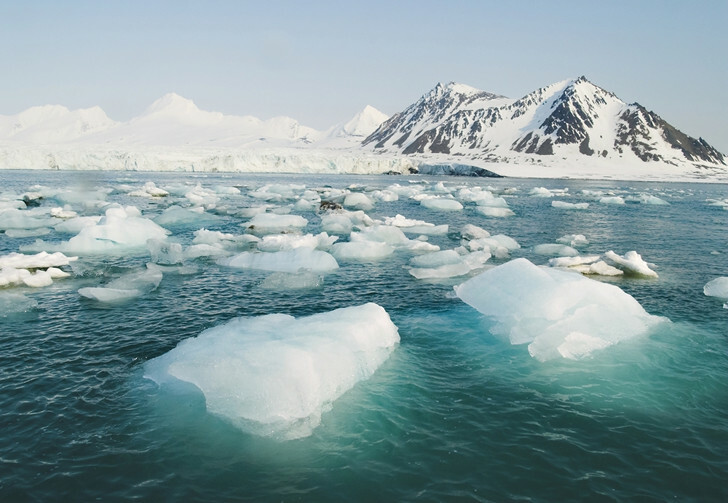 Researchers warn that the cold Arctic seas are undergoing a process of rapid acidification as a result of rising carbon emissions. With its protective ice cap diminishing during summer months and greater swaths of surface area exposed to the air, the cold Nordic seas absorb atmospheric carbon at a faster rate than warmer waters. Acidification destabilizes ocean chemistry and endangers the fragile ecosystem. 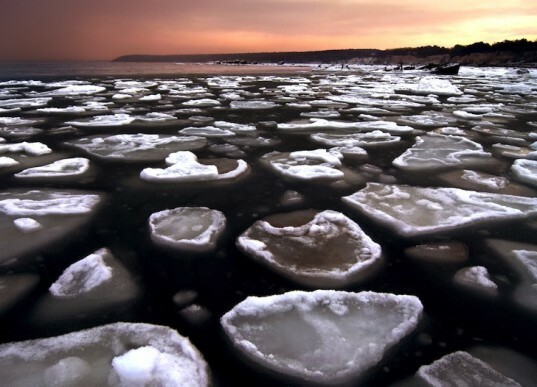 Though scientists from the Arctic Monitoring and Assessment Program (AMAP) warn that rapid change is afoot, they are unable to predict exactly what changes will occur. AMAP has charted pH levels across the northern seas, according to the BBC, and found that acidification is taking place across the expanse and at varying depths. Higher levels of acidification have been observed where freshwater from rivers and melting land runs into the alkaline waters, since freshwater is unable to neutralize CO2 effectively. “There’s slow mixing so in effect we get a sort of freshwater lens on the top of the sea in some places, and freshwater lowers the concentration of ions that buffers pH change. The sea ice has been a lid on the Arctic, so the loss of ice is allowing fast uptake of CO2,” lead researcher Richard Bellerby from the Norwegian Institute for Water Research told the paper. Some marine creatures will thrive with the higher levels of acidification, but others will suffer, and commercial fishing is likely to feel the impact as well. The arctic seas are approximately 30 percent more acidic now than they were before the dawn of the industrial revolution, according to the researchers, who add that even a total cessation of carbon emissions would fail to return them to their former state. That will take tens of thousands of years.